I’ve been following this story since late 2007. Psystar is the upstart company who has been defying all odds, and Apple’s apparent copyright on where their signature OS can actually be installed, by battling the Cupertino company in court. 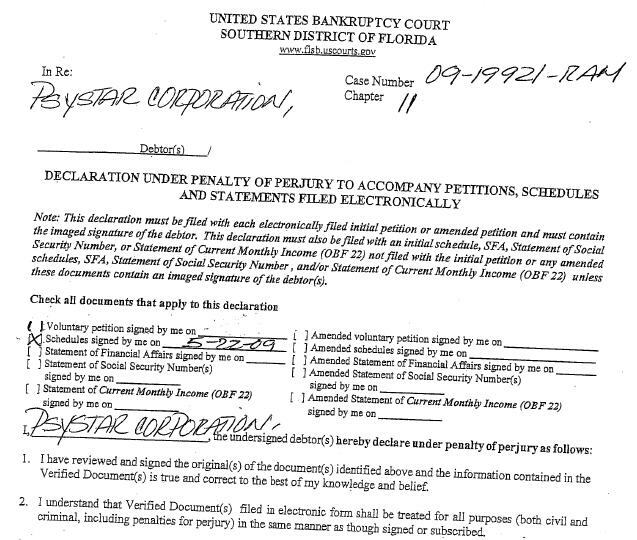 It looks like they filed for Chapter 11 bankruptcy protection on 22-May-09. Due to the weakened economy, Debtor has had no alternative but to commence these Chapter 11 proceedings. Debtor sales have been greatly affected by the decrease in consumer spending. The financial crisis has also caused creditors to tighten up their terms and become more demanding for immediate payment. Debtor’s vendors due to their own financial problems are not being able to supply all necessary items to allow Debtor to produce their product, thus, forcing Debtor to pay higher prices for parts in order to fulfill customer orders in a timely manner and to assure satisfaction with the product. These factors seriously contribute to the Debtor not being able to turn a significant profit in each sale. Debtor has continued doing business in this manner with diminutive profit in hopes of a turn around in our present economy but find that the long term roots of this crisis can only be overcome by directly implementing the restructuring of Debtor s business plan and can only do so with the requested Chapter 11 protection. Debtor plans on emerging from this Chapter 11 with a strong and effective plan to make an increasingly higher profit and still provide the consumer with the product that they have grown to enjoy and trust. Debtor possesses valuable intellectual property which will be implemented in a well thought out and more profitable business plan. I originally saw this on ZDNet; but they are citing a couple of sources for their story (The Mac Observer, 9 to 5 Mac). They also have a number of interesting graphics and links related to the filing. If you’re interested, you should check it out. I’ll try to follow through with any developments as they are made known.